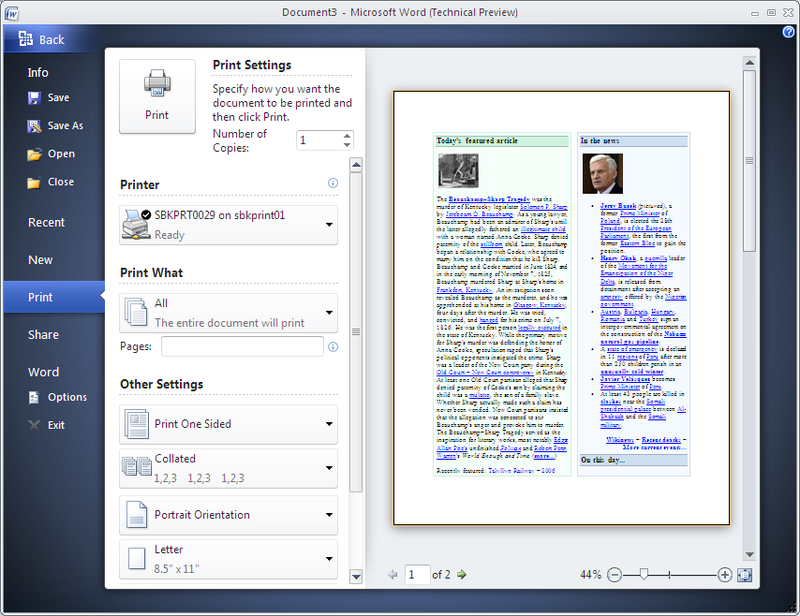 I installed Office 2010 last night and already I am liking it a lot after using it for about 30 minutes. There are some time savers in this release that will come in handy. 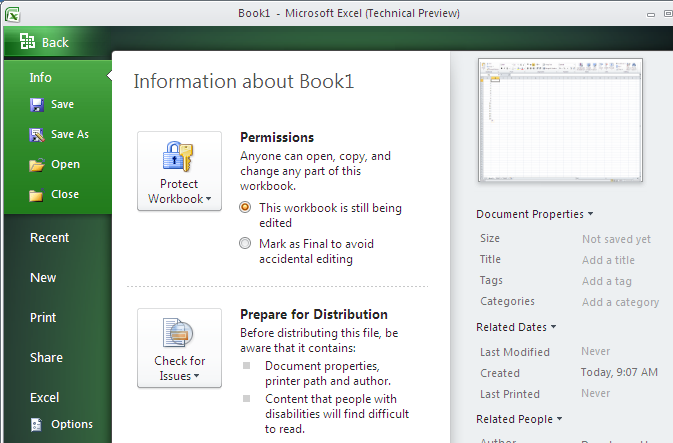 This will be just a short post and I will only cover Excel 2010 and Word 2010. The first new thing I noticed is that you can customize the ribbon now very easy. Another handy thing is that when you hit print, you get the print preview right away. On the image below you can see that the diamond is gone, it has been replaced by the Office button. Once you click on the office button you get to something that is called the Backstage view. As you can see this is much improved over the previous version. If you install Excel on a 64 bit machine then you can create Excel sheets which are over 4GB in size! It is pretty easy to customize the ribbon. Click the Office Button, left of the Home tab in the Ribbon, to enter the Backstage view. 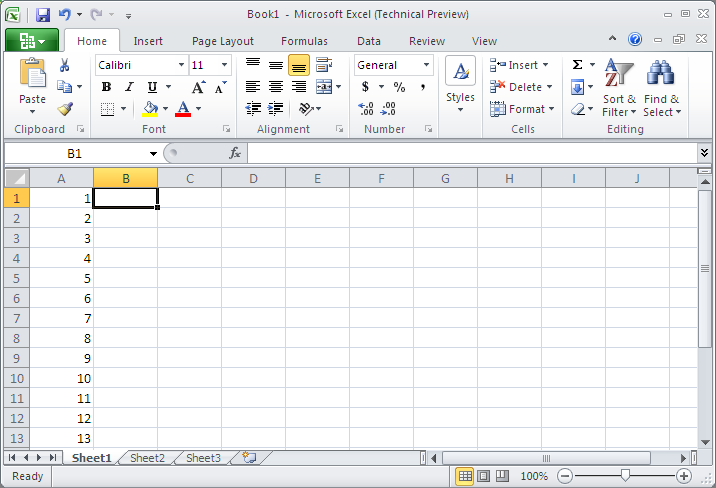 There, select Options from the lowest tab on the left, the tab named for the application you’re in (Word, Excel etc). 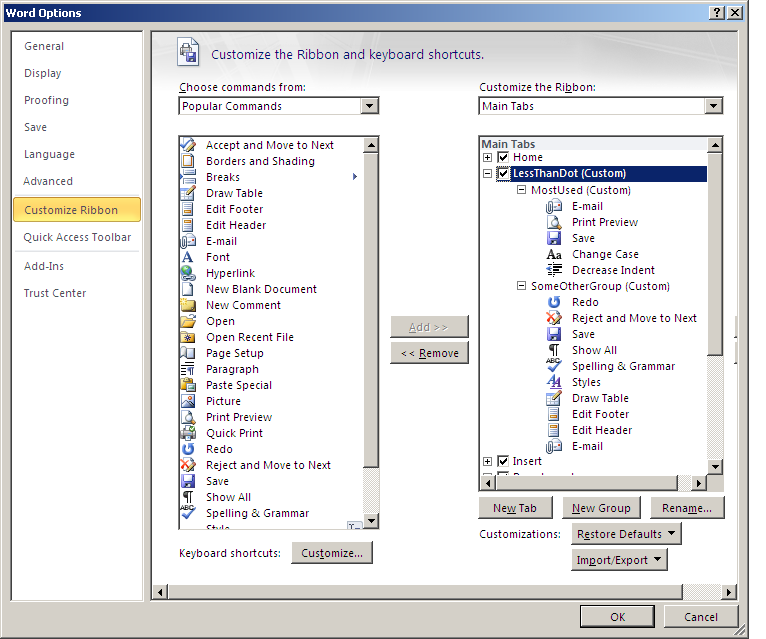 In the Options dialog box that appears, select Customize Ribbon and then click New Tab. You will see a tab named New Tab Custom and a child group named New Group Custom. Right click on both of those to rename them to something that makes sense. Click on your group and then from the left command window select the commands you want, you can unfortunately only pick one at a time. Below is an image that shows you what that looks like. I didn’t spend too much time with Office 2010 yet, next I want to mess around with Excel by connecting it to SQL server Analysis Services to see if there are any changes.